Never out of place, and never out of sight. That is the beauty of owning a Lexus IS. There are some things common to many human beings, regardless of their creed. A sense of style and good taste, and products that are like an extension of their personality or lifestyle are just some of these. The big news is that the 2017 IS models received a more aggressive exterior and an upscaled interior with updated infotainment system. The upgrades also include a more imposing grille with new headlights. The rear gets more pronounced LED taillights and all-new rectangular-styled chrome exhaust tips. The entire front fascia of the IS has undergone a transformation, highlighted by larger air intakes in the front bumper, and a daring evolution of the Lexus spindle grille. The air intake elements seem to flow off the fenders and frame a new grille that folds back at a higher point, changing its proportions and emphasising a more road-hugging stance. Many carefully considered improvements have been made to the new IS's cabin. For example, the multimedia display screen has been increased in size from seven to 10.3â€ (EX and F SPORT grades), and a new, high-resolution monitor provides a larger and clearer image of the multimedia system's various functions. The 2017 IS model line-up continues with three grades, including the IS 200t E and EX, and IS 350 F SPORT - all available in RWD. The IS 200t models feature a 2.0-litre twin-scroll turbocharged inline four-cylinder engine with intercooler. This super-smooth powerplant produces 180kW and quickly builds up a wide torque plateau of 350Nm@4400rpm. 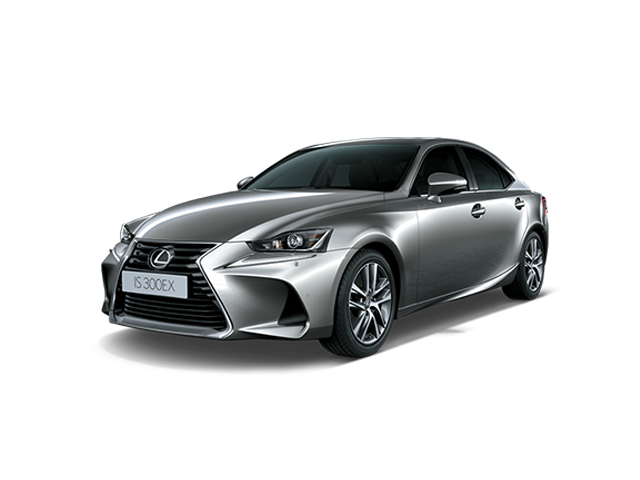 The IS 350 F SPORT delivers dazzling performance from a 3.5-litre V6 that produces 233kW and 378Nm of peak torque.